Back at the Microscope for a third session exploring our expanding sci-fi history – to catch up, you can read about sessions one and two. Tonight we learned a little more about humanity’s neighbors among the stars. We started off with me as the lens and the focus of those-who-survive-by-going (TWSBG), the aliens fought by humans during the Jump Point War. Then LL took over and chose to focus on the amoth, with whom the TWSBG already had an alliance by the time they met humans. Some time prior to human discovery of the jump point network and the Consolidation Wars, TWSBG had begun an expansion into space by launching many huge generation ships travelling at a significant fraction of light speed (c). These ships were point-and-go affairs and were intended to send back data on what they had observed to those on the TWSBG home-nest-world. Other species might have considered this a waste of time, as even the most conservative TWSBG scientists expected to make a breakthrough in FTL technology in the near term, but recall the fundamental nature of the TWSBG: ever since the discovery that there were worlds beyond their own they had considered emerging from their home-nest-world a species imperative, an expand or die sort of thing. One of these ships, called the Look-toward-the-third-yellow-star-from-the-one-who-dances-in-spring, was 37 years into its voyage of exploration and had reached approximately 0.93c when it collided explosively with a heretofore-unknown Dyson sphere. The ship was vaporized instantly and the sphere was thoroughly decimated. The structure was the “home-sphere” of the amoth, a species that had never discovered (or sought out, perhaps) the secrets of FTL and had used all the resources of its home system to build its expansive new megastructure home. Why wasn’t the sphere detected by TWSBG scientists before the ship was launched? We’re not sure but it seems likely that the amoth were a bit obsessive about using every bit of energy from their home star and that there was very little leakage, even in the infrared spectrum. The ship *might* have detected it before the collision (we’ll never know) but, by the time it had done so, it would have been very difficult to alter its course to avoid an object 2 AU in diameter. The amoth, likewise, had little warning of the pending impact (as the TWSBG ship was travelling very near c). They evacuated as many as possible, taking whatever they could with them. In the aftermath of the collision, the amoth scavenged what they could of their former home and used those materials to build “lifeboat” habitats. At the time they believed they were alone in the galaxy; no help from the outside would have been expected. The light of the explosion reached the TWSBG home-nest-world nearly four decades after the impact…a painful reminder of the destruction they had wrought on the amoth (see below). The amoth possess genetic memories. Their inner thoughts are filled with the voices of their ancestors. This can cause problems during psionic contact, especially under stress, when their mental barriers are lowered (again, see below). Some time after the ship was launched, but before its collision, the TWSBG had discovered and begun using the jump point network to found colonies. One of those colonies was quite close to the amoth sphere and they detected the impact just a handful of years after it happened. Some TWSBG scientist put two and two together and realized that the event had happened along the course of one of their STL ships. The TWSBG mapped a jump point to the system and a survey team was dispatched. The ship found the amoth in a terrible state, essentially clinging to flotsam for the last several years. The TWSBG and the amoth became close allies and the amoth were helped to expand beyond their refugee world. Though many of the nearby worlds had already been claimed by the TWSBG, the amoth were welcome to settle on any TWSBG world. They were highly valued for their engineering abilities. Much later, at the peace conference that heralded the end of the Jump Point War between humans and TWSBG, the TWSBG introduced humans to their amoth allies. At a reception following the opening of diplomatic ties, a human representative casually asked an amoth diplomat about his homeworld. The amoth dignitary instantly collapsed, babbling incoherently. 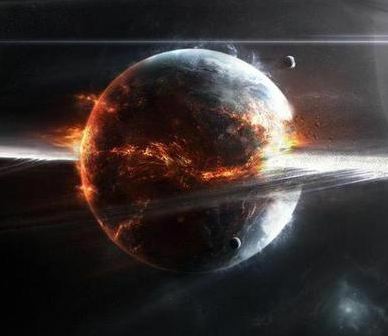 After he recovered, he told the tale of the destruction of home sphere in the voice of his ancestor. TWSBG diplomats at the function were aghast and silent. When the amoth ambassador collapsed, so did several of the human psi translators at the event. They would later recall that they suddenly heard millions of voices simultaneously. They likened it to being a drop of water in a vast ocean. One of the psis never recovered from the experience. Fleet Admiral Omar Nakamura was on hand and listened to the ambassador’s story with interest…his mind running through any number of scenarios. Here’s where it stopped: 1) TWSBG ship nearly wipes out alien species in a freak “accident”, 2) TWSBG relief efforts take in refugees and take them to “safety”, 3) TWSBG gains valuable “partner” with a particular aptitude for engineering. After the ambassador’s tale, the function was largely shut down…the dignitaries taking their leave out of respect (human), grief (amoth), or shame (TWSBG). Some stayed, however, including several among the human and amoth military contingents. An amoth naval liaison and his human counterpart discussed history at length, with a full recounting of the tale of the amoth home sphere’s destruction. The amoth officer wasn’t quite able to prevent his own suspicions from leaking across to his translator. He just “happened” to mention the name and whereabouts of a TWSBG liaison officer that might be able to fill in additional details. Adm. Nakamura ordered the subtle questioning of TWSBG naval liaison officer Speak-coordinate-with-human-navy. During an emotional “interview”, the TWSBG officer conceded blame for the destruction of the amoth home-nest-world. He later lapsed into madness and was subsequently relieved of duty. Nakamura’s suspicions had, to his satisfaction, been confirmed. During the construction of the Retreat, the amoth engineers proved their value many times over. Their knowledge of engineering, especially as applied to megastructures, essentially made the project feasible. Humans have taken to calling them “The Engineers”. Okay. So. That session took things in directions we had never expected. What an absolute barrel of fun. We’re looking forward to next Monday. NB1: I let Microscope designer, Ben Robbins, know we had posted a “review” of sorts and some gameplay recaps and he tweeted (twittered?) about it the other day (see capture below). His comment made me smile a little. He also let us in on the playtest of his new game, Kingdom, which is currently in development. 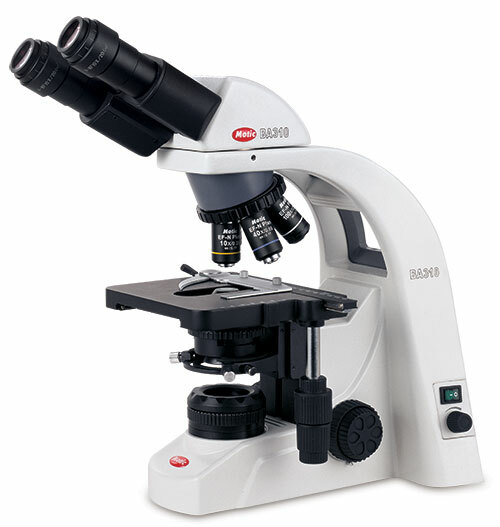 It’s similar to Microscope but focuses on the fortunes of a single community and the characters that make it up. We’re going to try it out with our full Sunday group and I’ll post any results here. LL and I also want to maybe give it a go, setting our kingdom in this sci-fi setting…maybe the Retreat. 1. Don’t over think the setting, just play. 2. Be a good listener. Don’t just wait for your turn to speak. 3. Avoid thinking about the game in between sessions. 4. Passively scan the cards already out there as you play. 5. Have eagerness for the unexpected. 6. Always look at the Palette (allowed/not allowed list) for inspiration. 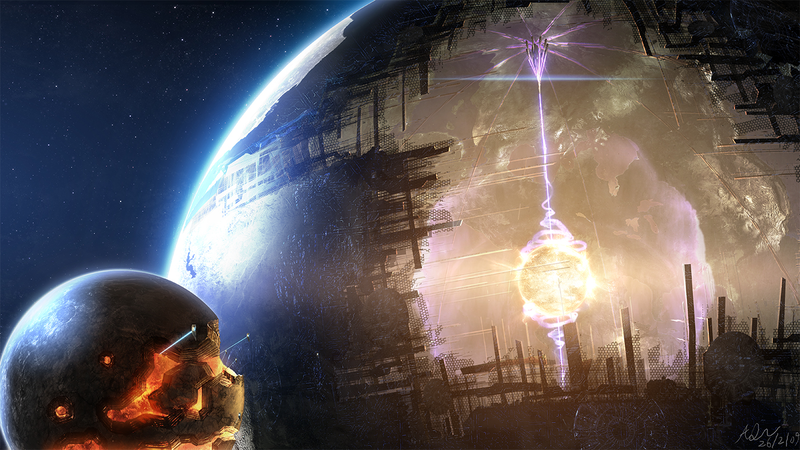 MA: The TWSBG exploration ship collides with a Dyson sphere and both were destroyed. He mused about the math and science of the situation, but that was all. LL: I thought about the amoth. We hadn’t delved into them hardly at all. Then it hit me…or them rather. The collison MA played is how the two races met. MA didn’t hint the idea in any way. I never would have thought of that on my own. This catastrophic event then captured both our imaginations. By session’s end we had fleshed out the amoth and brought them into the bigger picture. TWSBG: They have a biological imperative to go and explore to survive. Their worst nightmare happens. They destroy a “home nest” of another species. Amoth: They have a genetic/ancestral memory. They just built upon what came before. We don’t know why. But it was a very sad and haunting fusion of the two species. We also retconned the amoth into helping build the Retreat because it was a natural fit. MA and I didn’t plan any of this beforehand. Incredible stuff that neither of us would have come up with separately. I have no idea where this all is headed next session. I was still smiling the next day thinking about this level of pure creativity taking solid form. LL and I were back at it with some more Microscope tonight, exploring the sci-fi history we started last week. Last session we defined the big picture, historical bookends, palette, and took a first pass at history and then a turn with me as the lens. The focus I chose to start us off was “psionics”, left deliberately vague so we could go wherever we wanted. LL finished off my lens turn by picking a legacy and adding a scene about that legacy, then she became the lens and chose the focus “The Retreat”. The psionicist who destroyed the Neu Essen colony emitted a psionic “scream” that was heard by many human psis for a great distance. It was also heard by alien psis from the race encountered during the Jump Point War. In a close-up scene, we see an alien psi, still shaken by the outburst, conferring with his nest-mates over the feeling-memory of the “scream”. He-she-it shared what he-she-it thought-felt-heard, and they likened it to an almost-death-time-feeling. A peace conference was held some time after the initial psionic dialog between humans and aliens resulted in a cease-fire between the combatants in the Jump Point War. The discussion was mediated by psi delegations from both sides. Among the results of that conference was a decision to create a place where psis from all races could gather to communicate knowledge and ideas and new psis could learn to use their gifts. This haven, which later became known as the “Retreat”, would be located off of the jump point network and be psionically shielded to isolate it from the outside universe. The aliens fought by humans during the Jump Point War are called those-who-survive-by-going (TWSBG, the nearest translation the psis could render) and are an r-selection creature from a harsh homeworld. They breed prolifically and have colonized the space within a wide range of their original world. Their thoughts make for odd translations when rendered into English. In addition to humans, they have met and befriended another race, called the Amoth. The site for the Retreat was found by extensive scouting missions. It would be built inside of a moon-sized planetoid with a high concentration of what the TWSBG call white-empty-curtain, a substance that shields against psionic transmission. 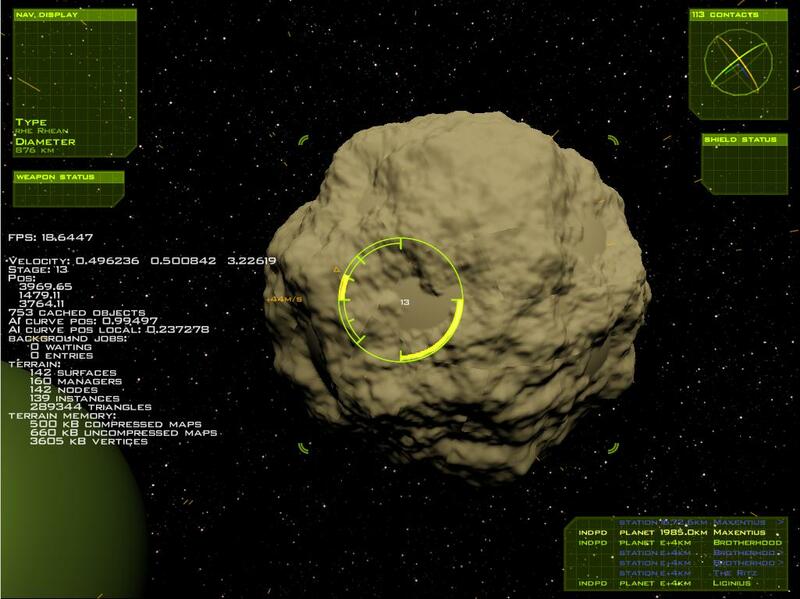 In addition to the material composition of the planetoid, other factors that lead to its selection were the fact that its system was currently unsettled and it lay approximately two weeks travel from any known jump point. Its system is low-value commercially and strategically. During construction of the Retreat, aliens and humans worked together quite closely. There developed a slang-language-understanding between the participants that transcended psi-understanding-feeling. This might be the first step toward losing human distinctiveness in some sort of hybrid group culture. Following the peace conference and prior to the location of the Retreat site, Fleet Admiral Omar Nakamura convened a secret meeting of top security advisors and experts to discuss the possibility of a future “psionic threat” to human security interests. The conference discussed the substance known as white-blank-curtain, henceforth referred to by these parties as the “Omega Compound”, and determined that acquiring and studying this material, and eventually laying in a stockpile of it, was an operational priority. Nakamura issued an eyes-only document called the Omega Order, detailing for senior naval personnel the standard operating procedures governing the Omega Compound. LL and I really riffed off of each other this session. She came up with the Retreat concept and I went back to the peace conference to find its genesis and made it into a shielded psi haven. She came up with the special mineral and I made the humans nervous about psis and want to go get some of that for themselves. LL also, in her flashback to the psi’s memory-feel of the Neu Essen event, introduced some of the character of the aliens, which helped me imagine them as fast-breeding brood-raisers who have expanded quickly throughout their local space. She essentially created their weird speech…but I grokked it right away and jumped into that game with her. We don’t know jack about the Amoth…just made that up on the fly so we’d have another pawn on the table. NB: Check out what we pass around to keep track of who is the current lens. Yeah. We’re geeks…but I bet you are too! 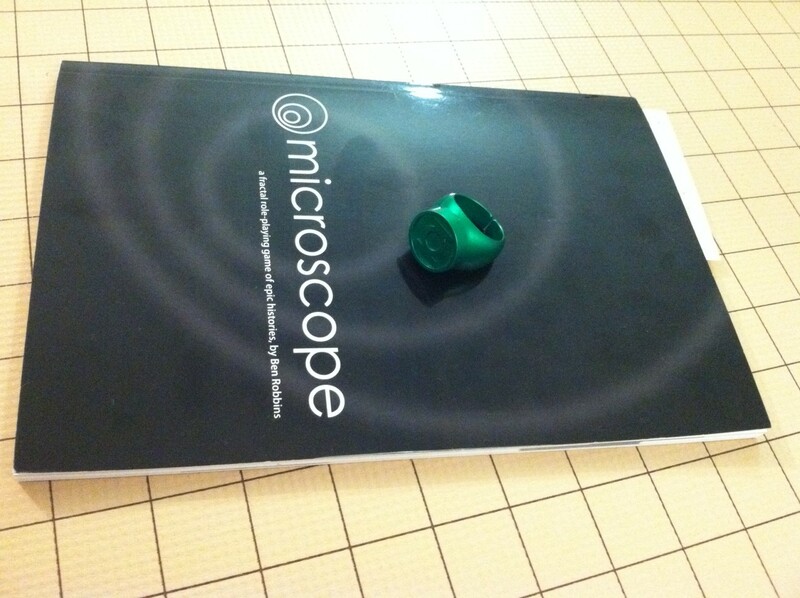 We’ve played a couple more sessions of Ben Robbins’ excellent Microscope RPG, once with LL, HG and MA and again, last night, with just LL and MA. Neither resulted in a complete history yet (and how could a history ever be complete?) but we hope to continue both games at some point. I’ll be sure to post the results here when they’re more fleshed out. The Sunday before last I didn’t feel much like running Skull & Shackles so LL and I broke out Microscope and introduced it to HG. He seemed a bit skeptical at first but quickly got into the flow of the game. LL suggested examining a history centering around super-powered humans and their effect on the world. The superhero genre is something with which LL is quite familiar. HG is less submerged in it…and I’m just now beginning to gain an appreciation. We hoped it would make for an interesting experiment. In the rubble of post-war, post-invasion Europe several survivors with powers banded together and managed to destroy an alien ship and capture another. 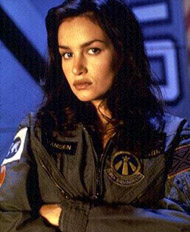 They went on to lead the human resistance against the invading aliens, driving them back. This group eventually became known as “The First Five”. Later, the First Five Foundation was established. It apparently sought to control the creation of new super-powered humans and secretly hoarded various alien technologies for its own use. At some point, distrust of supers overcame the gratitude felt by ordinaries and their governments for the liberation of Earth from the alien invaders. Governments sought to control and harness supers. This movement solidified after the assassination of the chairman of a UN-equivalent organization. The chairman was making a plea for the governments of the Earth to better control its supers. We’ll learn a lot more about the events on this parallel Earth when we play another session. Humans expanded beyond the Earth to found colonies on other worlds. We don’t know if they used FTL or not but do know that, at some point, they discovered “jump points’ and how to use them to travel much more quickly than before. This resulted in the Consolidation Wars, which brought many of the colonies together under one united banner. Travelling via jump points caused psionic abilities to appear in certain humans. The mechanism for this is, as yet, unspecified. Many of these people were initially taken for study and experimentation, a legacy that will likely cause problems later on. During the Consolidation Wars, a border colony called Neu Essen was psionically destroyed by a crewman aboard one of the warships laying siege to the colony. She was distraught because her lover, another crewman, had been killed during the battle with the colony and lashed out subconsciously. This was an unprecedented display of psionic power. The “echoes” of her psionic outburst were “heard” by psionics at a great distance. As humans explored the jump point “network” they encountered an alien species, who also travelled via jump points. Communication proved impossible and a war ensued. Later, a psionic crewman aboard a human warship found he could speak with the aliens telepathically. At some point psionic communications enabled the negotiation of a treaty and the end of the war. Later discussions with humanity’s new alien friends revealed that their psions had heard the Neu Essen outburst but hadn’t understood what had happened at the time. This is, no doubt, something we’ll get back to. So. There you have it. It’s definitely a work in progress, having only gotten through one focus in our short session. It seems promising, though…and it has certainly gone in directions neither LL nor I expected when we started. That’s the beauty of Microscope, I guess!